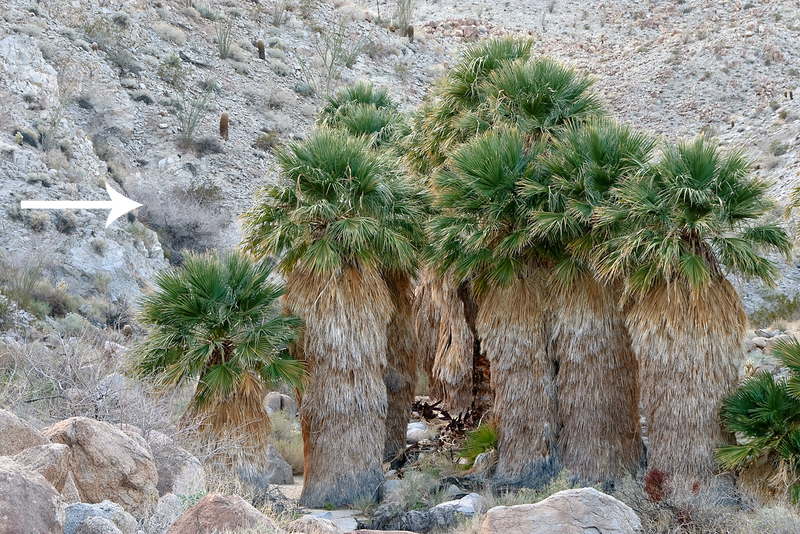 In April of 1967 arachnologist Tom Briggs walked into a palm oasis in Anza Borrego Desert State park, and collected 3 female specimens of a small laniatorid harvestmen from under granite rocks. I wonder how surprised he must have been, finding these typically moisture-loving arachnids in such a dessicating environment!! Desert oasis yes, rich mesic forest no. A year later, Briggs used these specimens as the type series for the description of a new species, named Sitalcina borregoensis. He lacked male specimens for this taxon, and the species remained known only from the type locality. An obviously unique, and likely very rare Californian arachnid became known to science!! Fast forward to 2008, when Darrell Ubick & Tom Briggs provided a wonderful monograph of the genus Sitalcina and related taxa. 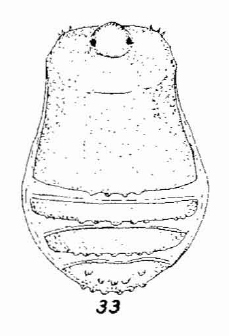 These authors redescribed S. borregoensis, again based on the original 3 female specimens. We’re not certain, but it is seems that arachnologists had neither seen nor collected this species since 1967. Maybe others have searched and failed? Or perhaps others haven’t tried? Either way, wouldn’t it be fantastic to collect a species that had hunkered down for the past 45 years! Yesterday, members of the Hedin lab ventured to the vicinity of the type locality (with ABDSP collecting permits of course). I had a hunch – maybe specimens could be found in talus-like situations on the north-facing slopes of washes that included palms? I would expect such places to retain moisture, and remain relatively cool, at least in the winter months. So, we started working through a likely looking rockpile…. Here we weren’t technically in a palm oasis, but palms weren’t far away. Well, about 15 minutes later we found the most enchanting little arachnid, hunkered down in a small moist nook under a largish piece of granite. About 30 minutes later, another wonderful little piece of arachnid gold. And then a third!! I recall lying there in the dirt, awesome smell of wet decomposed granite filling my nostrils, looking at the landscape of ocotillo and barrel cactus. So very neat to find this relict taxon in such a place!! They must migrate sooo very deep into the soil matrix during the summer! And we found many other mesic taxa, including small millipedes, land snails, and moisture-loving spiders. An entire community of extreme microhabitat specialists. male Sitalcina borregoensis, perhaps the first even seen alive? And get this. All of the specimens that we collected were adult males, new to science. 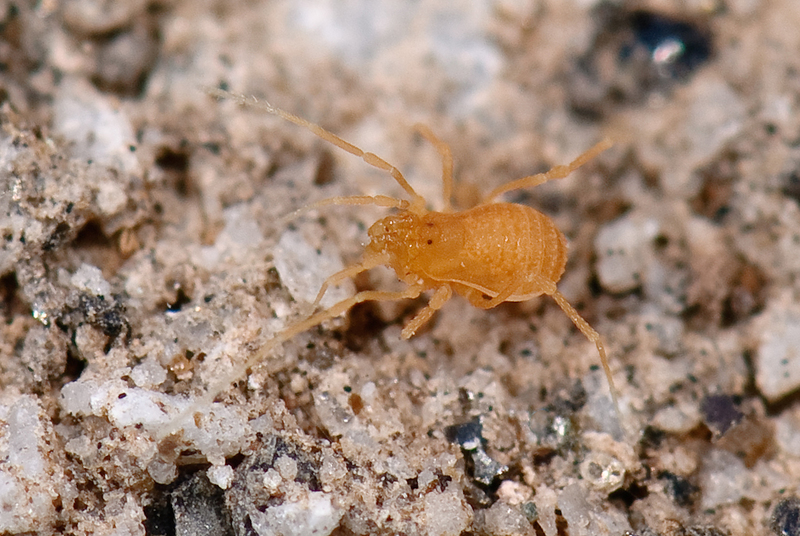 Hmmm, time to go exploring more desert slot canyons for additional, and perhaps unique, populations…..
6 Responses to Sitalcina borregoensis, rediscovered !! So cool! Way to go Dr. Hedin! You found him! Awesome post, Marshal. Looks like fun field work.